The radical cystectomy is a great dimension surgery, which consists in the total bladder removal when the bladder is stricken by infiltrative cancer, which is the second most frequent tumor of the urinary tract. Besides the bladder, in this surgery, the prostate, the seminal vesicles and the pelvic lymphatic ganglions are routinely removed, in order to ensure better healing conditions. When this type of procedure is performed in a conventional manner, greater incisions (of approximately 30 centimeters/12 inches) are required in the abdomen, causing a series of disadvantages for the patient, like higher surgical morbidity, intra-surgical bleeding and an alarming rate of complications, early after, or later. As part of the treatment, after the organ extirpation, the surgeon makes a urine drainage or reservoir system. In other words, he makes use of bladder substitution techniques in the most physiological way possible, in order to minimize the consequences of a social impact that such patients could have. In recent years, the most applied technique is the usage of a segment of the small intestine, placed in an orthotopic position (in the original anatomical position of the bladder). 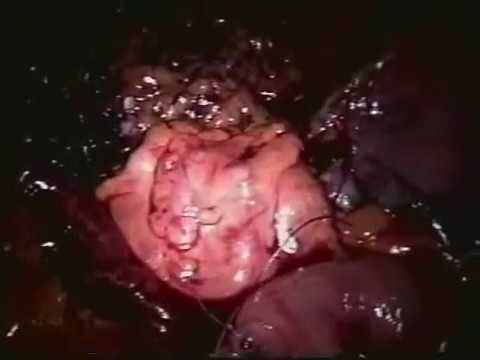 Although a radical cystectomy is a surgery of great complexity, the laparoscopic technique can be used with ample success. Performed in big laparoscopic centers, it represents the most recent frontier of the minimally invasive technique development. MASTER CLÍNICA’s laparoscopic sector performs the radical cystectomy with great competence, providing countless benefits to its patients.